In a special, celebratory year (2018), AVO Cigars has taken enthusiasts through a tour of the company's most legendary releases. Among the most highly anticipated is the brand's AVO 22, a shapely figurado that was first introduced in 2002. 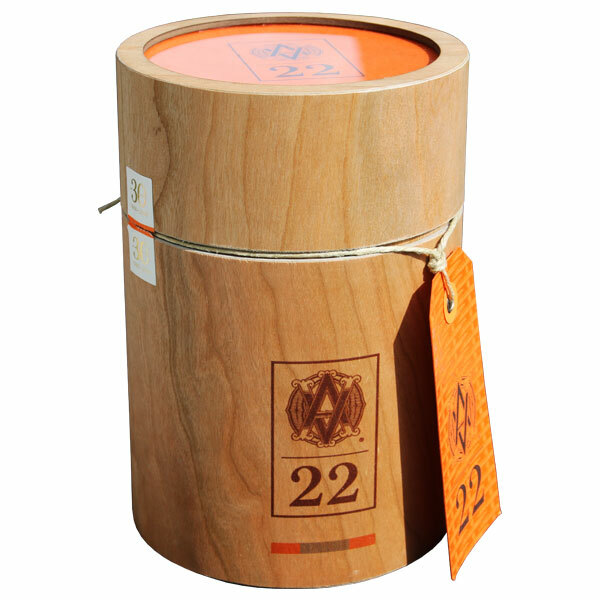 AVO 22 was named for company founder Avo Uvezian's fascination with numerology, with 22 holding special significance—representing Avo's birthday (March 22nd), his sister's birthday, and the day he arrived in the United States. When the cigars were first released, they were only the second blend in the company's annual Limited Edition series, where special blends were typically introduced near Avo's birthday. Despite being introduced in 2002, the AVO 22 existed long before as a personal favorite for both Avo himself and Davidoff master blender Hendrik "Henke" Kelner. To celebrate the company's 30th anniversary, the AVO 22 cigar has been re-crafted from its original blend. The cigars feature an Ecuadoran sun-grown wrapper, Dominican binder, and a special blend of four Dominican filler tobaccos. The cigars are rolled at the prestigious Oettinger Kelner factory in the Dominican Republic, featuring the same 5⅞" x 50 figurado/perfecto vitola from the original release. The cigar's packaging remains similar to the original (vertical, jar-style), but has been tweaked to differentiate the 2018 release from the original, 2002 cigars. Only 3,200 jars of 19 cigars have been rolled for this special release, and it is unlikely that this special blend will make another return for many years to come (if ever).